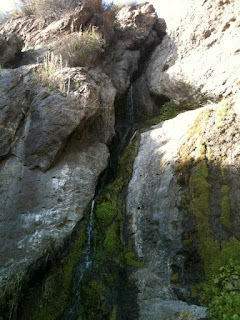 Once again, the weather of Southern California has just been incredibly beautiful and I got out with friends once again to hike through this beautiful spring time air. 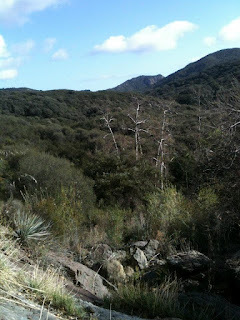 We were in a similar part of the Santa Monica Mountains, in Malibu again, as Sandstone Peak (http://katycasharoundtheworld.blogspot.com/2012/01/sandstone-peak-1162012.html) but at a lower elevation and closer to the ocean. This meant instead of shrubbery we were hiking through a canyon full of woody thickets and larger trees, which turned into low, prickly shrubs as we slowly ascended the far side of the canyon to the place along a windy dirt mountain road where we ate lunch. On the way back, we found the unmarked side trail I had read about that would lead us through these scratchy bushes, along the river and over boulders to the foot of the upper falls. The "waterfall" was hardly flowing at this point in this very dry year, but we made a camp on the rocks at the foot of the falls, where we chatted. Slowly we quieted, moved to the sunlight and lay down on the rocks to appreciate the silence. I've found myself happier than I can remember in a long time these past few months. Flourishing is the word I've been using, actually. This doesn't mean there isn't challenge in my life, that I'm getting enough sleep, reading or writing as much as I would like. This doesn't mean I feel as connected to many people I want to like me more, this doesn't mean I know what I'll be doing come August. This does mean I feel like healing of what I went through last year has come full circle and I've become stronger for it. I also think getting out of the city from time to time, exercising and being quiet in an actually quiet place has something to do with this. At the top of the upper falls. As I said, there was not much of a flow of water. 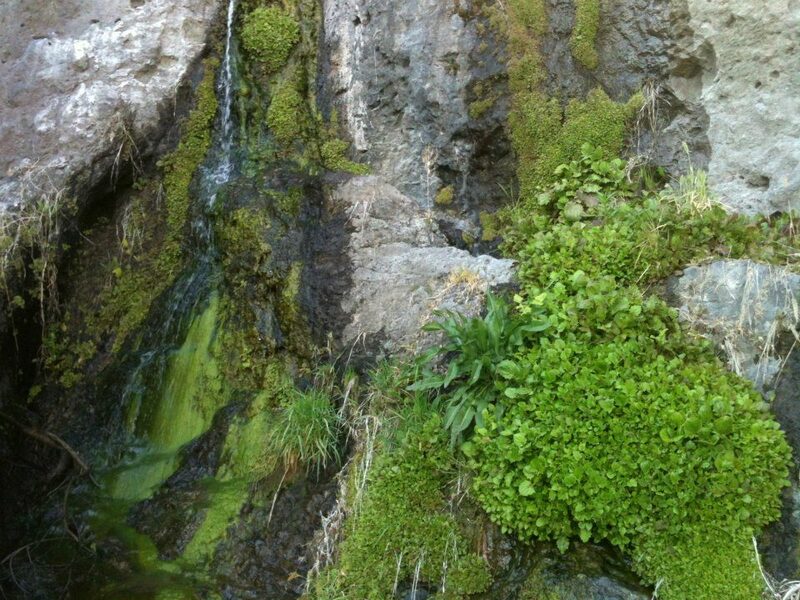 However, what water there was made it very green and kept the rock wall flourishing. Newton Canyon looking south east from the Upper Falls. 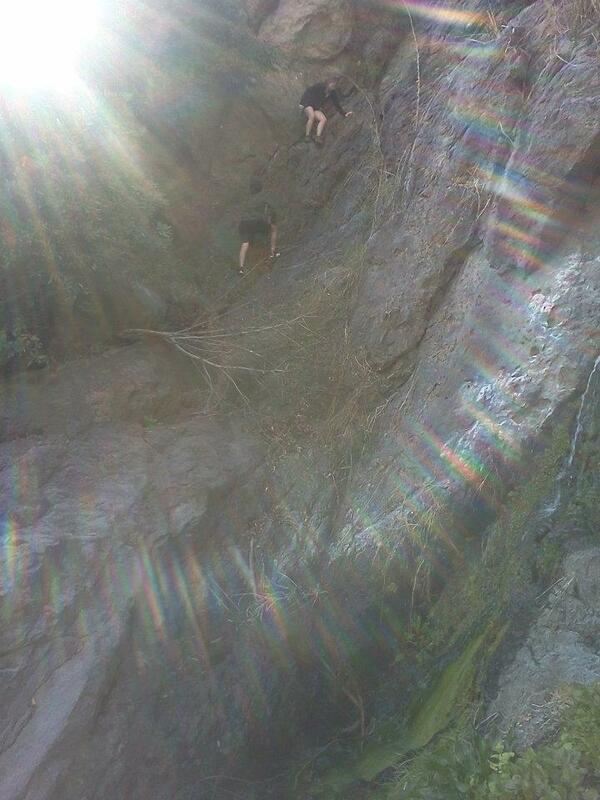 Alfred and I climbing on the rocks alongside the water. Yes, that's me higher up than him. As usual (as my mother would tell you in a worried and annoyed voice), I'm on the edge of things. 1) We need to be a part of a community of close friends or family to feel happy. 2) We need to feel a part of something larger than ourselves (church, spirituality, volunteerism) to feel happy. People who participate in compassion work and meditation will fire up the happy-parts of their brains on cue. 3) Being happy isn't about never feeling pain. It's about dealing with pain in a better way and moving through adversary faster than you might otherwise. 4) It is possible to loose dopamine receptors over time and if we don't include new, different and trilling activities into our lives (even taking a different route on a daily jog) we will actually loose the ability to be as happy (ie receive as much dopamine) as we used to. 5) One of the best ways to keep these receptors opened is to make sure we participate in activities in our lives that help us to reach a state of "flow". Flow is what happens when we are doing something that we love doing - could be doing creative activity, exercising, doing really good at work - and we actually loose track of time and everything begins to come forth organically. Our mind is literally flowing through movements. When I get into this state I feel more like my body is a vessel for something bigger moving through me, my writing is coming from somewhere else, something bigger. 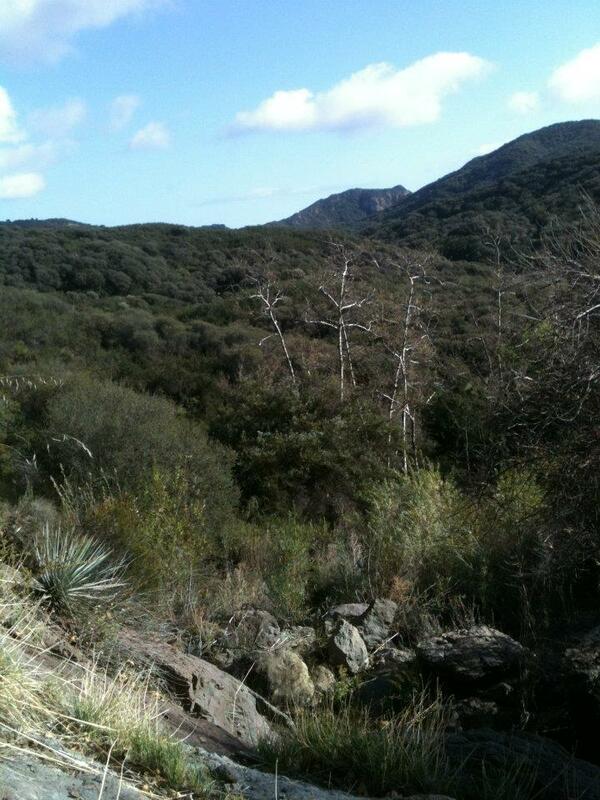 By engaging with this space, we are working with our brain to keep it active and light up those happiness receptors. There was a lot more and I really can't do justice to any of this, much less the idea of flow. I also think everyone should watch this movie because it's just lovely and full of incredible stories. It just came out on DVD and there's a lot of promoting left to do, but here's my pitch for the film. See it if you can! Cultivate newness and happiness in your life! Get out of the city whenever possible! If you live outside of the city, get back into the city when you can from time to time!